Just recently we reported on the first two days of download results for Miitomo in Japan. It made a storming debut across iOS on 17th and 18th March, and now we have information on more results and the earliest Android chart placings. Once again we've been checking up on App Annie, and what we see is continued momentum on iOS and a rapid improvement on Google Play. To start with iOS, on 19th and 20th March Miitomo overtook the latest Puzzles & Dragons title to become the number one free download on iPhones, while claiming second on both days on iPad devices. The story's been different on Android (Google Play), on which Miitomo started relatively low but has rapidly gained momentum. On 18th March it was the 24th most download free app on the platform in Japan, but on 19th March climbed way up to 2nd place behind - yep - Puzzle & Dragons Radar. Overall Miitomo is showing strong momentum into its first weekend, with the iPhone results standing out. It'll be interesting to see how long it stays near the top (and how well it's monetised), and it's also due in the West this month. Yeah, yeah. Release it here already. @Wouwter This lol. I don't care for sales numbers! @Wouwter same here, I wants it! seeing as the app works in English all ready, I have to assume the western versions of MyNintendo are having a little trouble. Time for Mobile section for nintendo life! @abe_hikura I know right! It's all set to go. Feels like they're dangling a carrot* in front of my face but I can't have it. *Well, not a carrot, but something I actually want. Good results for Nintendo's first legitimate mobile effort. It will be interesting to see if such momentum continues in the long run, and if the west responds to Miitomo as strongly as Japan did. Is this for downloads? If so, that's great but means nothing if it's not on the highest grossing charts. There's been plenty of Japan-only Pokemon apps that were high on the download charts but were shut down quickly due to them failing hard on the grossing charts, meaning they weren't making money. Then again, it is at least promoting the Nintendo brand, which was their main goal. I don't think it's making that much money, as it's not in the 150 'Top Grossing' games on the App Store. @johnleith123 ehhmm It was literally released 2 days ago and only in japan. And you are expecting it in the 150 top crossing games? Well... Clash Royale (a new game from Supercell) was released about a week ago and it's been in the top ten since. @johnleith123 Clash Royale was released worldwide. And Miitomo is a social massaging app and not a game like clash royale. Supercells previous games have a install base of 100000000+ while Miitomo is Nintendos first app etc. One question: Why does this article have a Retro tag? Glad that Miitomo seems to be doing well! How about bringing it out of Japan now? Miitomo isn't about raising money. It's about raising awareness of products that will make money. if it's still due this month, they're running out of month to launch it in. Wow, these figures look pretty positive. I don't think the app will be quite as successful in the West, but this has me convinced it will do pretty well, at the very least. @johnleith123 Does the game even have paid content yet? I know it's supposed to have outfits and stuff you can purchase, but I don't know if those are necessarily launch features. Besides, I doubt the paid content would cost very much anyways. The main purpose for having Nintendo IP on mobile is to attract larger audiences, not so much as another pillar of revenue. Or at least, that's what I think. Edit: What @8itmap_k1d said. Looking forward to this coming Stateside. 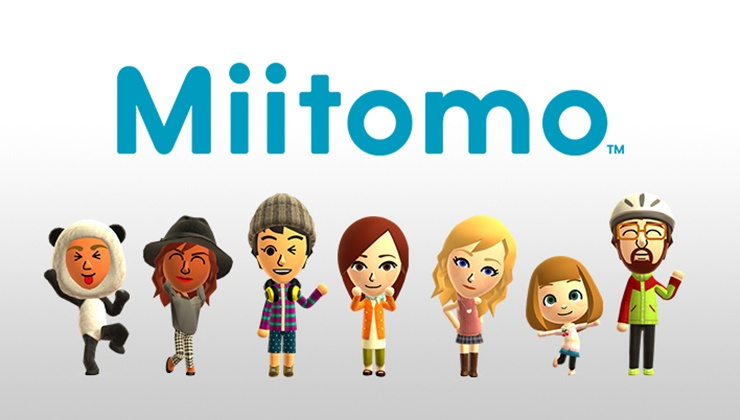 @johnleith123 I don't think there are many options to spend money on Miitomo yet.I imagine that will increase in the coming weeks but they won't want their very first app to appear to be a money sucker. @Not_Soos Yes, it does have paid content. You can buy extra coins for clothes or playing minigames, although you earn coins everyday just by playing. 3€ would be more or less the amount of coins you gain in two days. Cosmetic items don't make you win and people need money to make games, you know. Seems Nintendo is more relevant than i thought it was. @Anomen @SanderEvers I would call Miitomo's payment model for "Pay to Unlock" and not really "Pay to Win", as you aren't really getting any advantages by purchasing clothes really from what I understand. Like people have said here before Miitomo is mostly about spreading awareness and of course, giving people a app they can have fun with and grind Platinum points for My Nintendo :+). 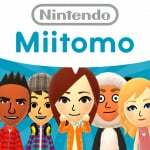 Has it been announced to when Miitomo will be released in the West? @SanderEvers Not even remotely is it pay to win, considering it doesn't help you win at all.